It may come as no surprise that at the Science Media Centre we consume a lot of media; it’s very much our job to keep abreast of what’s happening in New Zealand particularly in the science scene. But we also know that for those of you who aren’t eyes-deep in media on a daily basis, it can be hard to keep track of the must-reads (watch, listens). So we’re trying out something new – at the end of the month, we’ll look back at some of the stories we’ve really enjoyed, both from New Zealand and overseas. Here’s the May list…think we’ve missed something great? Let us know in the comments. And if you spot something great during June, let us know so we can include in next month’s edition. 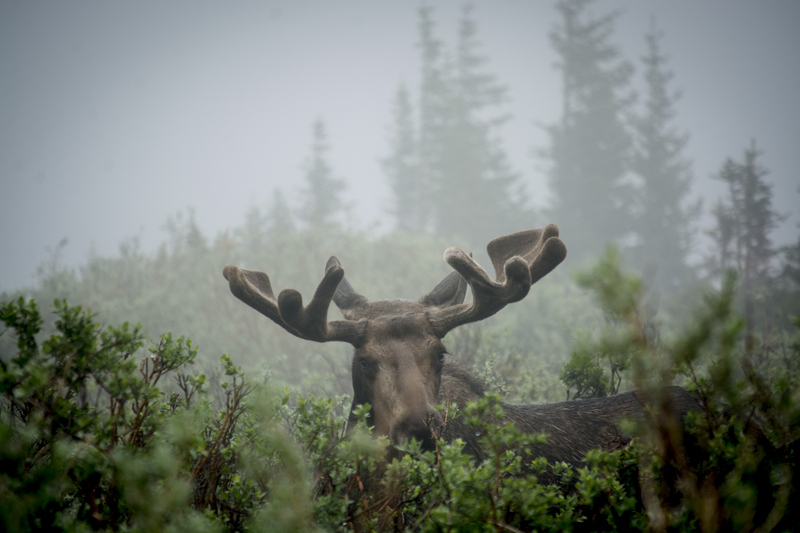 Have you heard the story about Fiordland’s moose? Stuff National Correspondent Charlie Mitchell followed the tale through this two-part series, which he also narrated as an audiobook. The Government has set itself an ambitious goal of planting one billion trees in the next ten years, but what trees, and where? In one of her final pieces as a staff writer for The Listener, Rebecca Macfie talks to forest scientists, landowners and conservationists about what they want to see in the planting programme. Radio NZ delved into long-form, online journalism through its Breaking Bad feature, which examines the pervasive impacts of methamphetamine in New Zealand. With 13 journalists contributing from across the country, the piece ranges from current users and ex-addicts to family members, researchers and community workers, capturing the breadth of ways people are affected by the drug. It’s not often a wild animal will choose to come directly toward you instead of fleeing, but in New Zealand we’ve got the curious kea to keep tourists entertained around Arthur’s Pass. Rebekah White travels south to find out more about these charismatic and intelligent birds. Is science in New Zealand too white and too male? If you weren’t following along at the time, recently there was a stoush played out via newspaper columns and op-eds about the role of Te Tiriti o Waitangi in scientific endeavours. In this column, Jenny Nicholls rounds up how the stoush played out. With news that Brian Cox will visit New Zealand again next year, NZ Herald science reporter Jamie Morton talked to him about growing distrust of experts and the humilty of learning to throw out your theories when the evidence contradicts them. You might have heard about the death of the world’s oldest known spider, but if you haven’t read this touching obit to the female Gaius villosus, it’s a beautiful tribute not only to ‘spider 16’ but also the long-term commitment of scientists to their study species. E-cigarettes and other nicotine-delivery systems are growing in popularity, with some advocating for greater use of these tools for getting people to quit smoking. But what about the rise in use among young people? In this feature, Jia Tolentino does a deep dive into the youth culture around so-called ‘Juuling’. And of course, it’d be remiss not to include some of the month’s posts from right here on Sciblogs. Following a media interview with a reporter at the Whanganui Chronicle, Alison wrote about the latest craze: ‘Kangen water’ – alkaline water that people drink thinking it’ll change their body’s pH. Last year the folks at Motu came up with a great piece of research which, among other things, showed that wage discrimination against women in New Zealand was less when firms faced greater competition. Donal Curtin writes about a lucky accident in Portugal that showed the same effect. This beautiful post tracks some of Andreea Calude’s efforts to raise her children bilingual. Following yet another (double) fatality following a police pursuit, Mark Hanna looks at some of the data around pursuits and asks when we might break the cycle. Full post here. Faking data about vaccination is nothing new for some people, but Grant Jacobs outlines a particularly bizarre case where a journal accepted a paper with a fake author. There’s also a follow-up here.